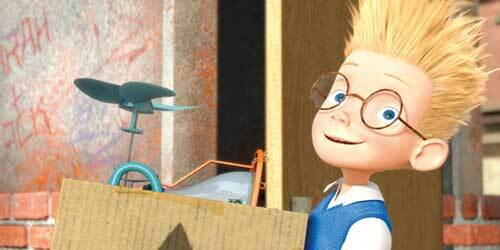 Lewis is all smiles at the beginning of his great adventure in Meet the Robinsons. On Blu-ray 3D, Disney’s animated movie Meet the Robinsons is a 3-Disc Blu-ray 3D/Blu-ray/DVD combo pack. Meet the Robinsons Blu-ray 3D contains a number of special features, all of which have appeared on previous releases of the film.